This Australian actor has always had an enviable sense of style, but lately, she's been (if possible) even more fashionable than usual. Mia Wasikowska has on the Crimson Peak press tour, traveling the world — so far, she's hit Rome, Paris, and Berlin — and looking amazing. Each appearance has been more sartorially satisfying than the last. How excited are we all for Crimson Peak, by the way? The ultra-creepy, Guillermo del Toro-directed horror flick has a lot going for it — after all, it features performances from the aforementioned Wasikowska, alongside Jessica Chastain, and, of course, (at times, shirtless) Tom Hiddleston. At any rate, Wasikowska (who also has the upcoming Through the Looking Glass coming down the pipeline) has really got her red carpet style on lock for this particular press tour. She went for a modern and graphic look in Altuzarra for her photocall in Rome, then, in Paris, she pulled out all the stops with a gorgeously detailed LBD from Alexander McQueen. Finally (and most recently), she went for a modern-yet-retro, daring-yet-classic look with a cream-colored blouse, and '40s-esque wide-legged trousers (which happened to feature some on-point button detailing). Let's take a look at all of her latest press tour ensembles! Pretty much a modern-day Mia Farrow, right? Seriously, girl is just taking the whole gaminesque thing and running with it. Brava. To borrow a phrase from Mary Poppins, this look is "practically perfect in every way" — from the gorgeous tulle ruching on the neckline, to the eye-catching gold piping, to the ever-so-slightly weathered hem. 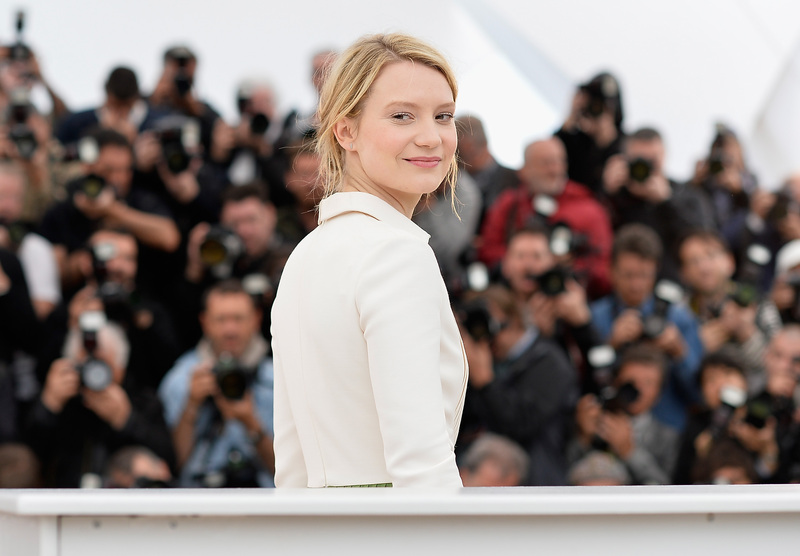 Luckily for us, there's still lots of red carpet goodness to come for the actress — she's covered a good deal of Western Europe so far, but there's still a lot of continents left for her to cover on her international tour! Want more style and beauty? Check out the video below, and be sure to subscribe to Bustle’s YouTube page for more hacks and tricks!